Hempstead Town Senior Councilwoman Dorothy L. Goosby made history when she was elected to the Town Board on November 2, 1999. She is one of the first Democrats elected since 1905 and is the first African American woman to serve on the Town Board. Councilwoman Goosby has the distinction of being the first Councilperson to run and be elected in six consecutive campaigns. Her election in 1999 was at large for a one-year term. In 2000 she was elected in the newly created First Council District for a one-year term and in 2001, 2005, 2009, and 2013 she was reelected in landslide victories to four-year terms. As a member of the Town Board, Senior Councilwoman Goosby is responsible for adopting the annual budget, adopting and amending the town code and the building zone ordinances, adopting all traffic regulations, and hearing applications for changes of zone and special exceptions to zoning codes. Each council member maintains an office in Hempstead Town Hall, located at One Washington Street, Hempstead, New York 11550. This office has a 4-year term. In 1988, Senior Councilwoman Goosby and others filed a class action suit against the Town of Hempstead charging that the Town of Hempstead’s at large voting system for the Town Board discriminated against the minority community. In 1997, a federal Judge agreed and ruled that the Town of Hempstead’s method of voting-at-large was discriminatory and violated the Voting Rights Act. In January 2000, the United States Supreme Court denied review of the Town of Hempstead’s appeals. Judge Gleeson, then ordered that a special election be held for all seats in November, 2000. The First Council District of the Town of Hempstead includes Hempstead, Lakeview, Roosevelt, Uniondale as well as portions of Baldwin, Freeport, Lynbrook, Rockville Centre, and West Hempstead. 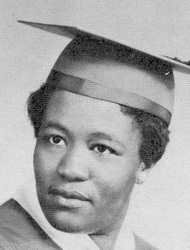 Dorothy L. Goosby is an alumna of Florida A&M University. She received her Masters in Business Administration in Labor Relations/Corporate Finance and Accounting Management from Adelphi University. Councilwoman Goosby is a New York State Certified and Registered Dietitian with more than twenty-five years of exemplary administrative experience in the medical profession. She is a published author whose article “Nutritional Management of Long Term Care Residents Receiving Hemodialysis,” was published in Topics in Clinical Nutrition. Mrs. Goosby attended Hofstra University, Hempstead, NY and completed the requirements to obtain certification by the New York State Education Department as a Certified Chemistry teacher. While Senior Councilwoman Goosby’s professional accomplishments are noteworthy, she is most recognized for her on-going community efforts in Nassau County and the Town of Hempstead. As Councilwoman she has initiated community meetings and Town Board evening meetings in Town Hall Pavilion that provide access and opportunity for more residents to participate in government than ever before. She has also intervened in areas that have resulted in a better life for the Town’s citizens. These include repair and renovation of streets that were long neglected, parks that were in total disrepair, vacant lots that were littered, and street lights that did not function properly, just to name a few. In some cases, once vacant lots are now locations of economic development. It is the Councilwoman’s belief that her election by the people is a mandate to provide equitable representation to all of the residents in the Town of Hempstead and that she has the responsibility to make a difference when it is possible and where it is needed. As a distinguished public servant, Councilwoman Goosby’s political activity has been chronicled in the New York Times, Newsday, the Amsterdam News and other publications. Her work has been documented on several television media outlets including ABC, CBS and NBC in the greater New York area and Long Island’s Channel 12 News. The Councilwoman was recognized for the time that she gives selflessly to others and was awarded by the President of the United States with a Presidential Volunteerism pin. 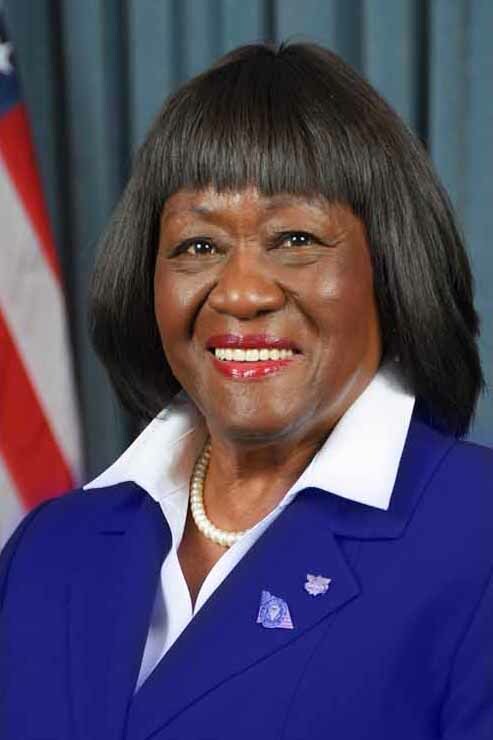 A long-time advocate and supporter of children and youth programs, Councilwoman Goosby is an adult member of the Girl Scouts of Nassau County, served on organization’s Circle of Friends and the Board of Directors. The Councilwoman is a former Vice President of the Hempstead School Board, former President of Hempstead’s United Parents Association and retired President to Marshall School’s Parent Teacher Association. She is a member of the Kiwanis Club of Uniondale, Soroptimist International, board member of HEVN and is a proud board member of the Caroline Wambui Mungai Foundation. 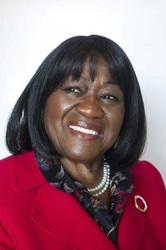 Councilwoman Goosby is a Past President of the Association Of Towns of the State of New York and serves on their Executive and Resolutions Committees. The Councilwoman formerly served on the Board of Directors of Hempstead High School Scholarship Fund, the Board of the Nassau Guardians Association, a member of the Executive Board Member of the Parish Resource Center and the Board of Directors of the Equal Opportunity Commission of Nassau County. Councilwoman Goosby is a past President of the Hempstead’s Democratic Club. She was Secretary for the Town of Hempstead’s Democratic Committee and was a member of the Ways and Means Committee. Councilwoman Goosby taught with Long Island Mentoring Inc., and was a member of the Long Island Arts Council at Freeport. Her professional affiliations include the American Dietetic Association, New York State and Long Island Dietetic Association, Consultant Dietitians of Long Island, and Science Teachers Association of New York, Inc. She is a proud member of the Zeta Phi Beta Sorority, Inc.
On July 18, 2011 Councilwoman Goosby and more than 150 local elected officials from all over the United States participated in the first White House Forum on Suburbs in Washington DC, coordinated by Building One America. Discussion was led by members of President Obama's administration and included the problems of aging of "First Suburbs", including Long Island. The Councilwoman resides in Hempstead. She recently lost her husband of 50 years, Anderson "Jay" Goosby. She has two daughters, Alcina and Cassandra. Mrs. Goosby is a member of Union Baptist Church where she served on the Social Action Committee, past President of the Senior Choir and past Co-Chair of the Woman’s Day Committee. Councilwoman Goosby is the recipient of several county, town, and private citations, certificates and plaques. Click on Full Version pdf. to view. Long Island's history of civil rights activists includes politicians Roger Corbin and Dorothy Goosby, whose elections in the 1990s helped expand the political opportunities for African-Americans in Nassau County and the Town of Hempstead, respectively. Dorothy Goosby, 69, of Hempstead Village, became the first African-American woman elected to the Town of Hempstead Board in 1999. She is currently the only Democrat and the only African-American on the board. She was the lead plaintiff in the 1988 lawsuit that forced the town to change from an at-large voting system, which the suit charged disenfranchised minority voters, to six councilmanic districts. In a case that took 12 years to settle, the U.S. Supreme Court in 2000 refused to hear Hempstead Town's appeal. "I became an activist because I was born and raised in the segregated South [Apalachicola, Fla.]. In the South I was not made to feel like a human being. ... I did not like the fact that we did not have good books, that we were not taught subjects [math and science], because I was told I was too dumb to learn them. I've never been dumb. So I became an activist because I realized that in order to change things I had to be involved. And I became involved in the Goosby vs. Town of Hempstead case for the same reason. We had bad streets in our area. We had poor schools. We had bad parks. All that we paid for as taxpayers, we were not part of it [town government]. "So in order to be part of it, we filed Goosby vs. Town of Hempstead ... to change from at-large voting to councilmanic districts so that we could play a role in our own destiny. It [at-large voting] meant that we were not represented, because we were 12.5 percent of the population during the time we filed this case. So you disperse 12.5 percent into the entire town, which is over 700,000 people, you're completely lost. Not only that, it was discriminatory. "They never had a black on the town board until Mr. [Joseph] Mondello appointed [Curtis E. Fisher in 1993, who later was elected]. There were moments when I doubted. I had two positions that I was terminated from [because of] this case. I was called the N-word. ... "I was able to do it because of the support I had from my family, as well as many friends, and certainly from my attorney, Fred K. Brewington. I am optimistic. First of all, because of the Goosby vs. Town of Hempstead case we now have 19 legislative seats in Nassau County, whereas, before it was five supervisors. Out of those 19 we have two black legislators. Instead of one black woman there are now three of us [on town boards Islandwide]. I take great pride in that because we opened the government; finally we have the opportunity to participate in government." Escaping segregation My family was very poor in Florida. So, during college, I worked at school, cleaning up in the cafeteria and the kitchen once the cooks finished. Each summer, I'd come to work at upstate Rockland State Hospital because it wasn't as segregated in New York as Florida was at that time. The jobs I had paid for clothes, books and helped with my tuition, along with my scholarships. Most of my time was for working or studying, so I didn't have much time for pleasure. I wanted to go to college, and my parents wanted me to go because, in Florida, there was nothing I could do except housekeeping, or work in the hospital, or take care of somebody else's children. I wanted more, and my parents wanted more for me, especially my mom. My mother was my inspiration and a stalwart in my life. I did not want to stay there and just be a vegetable. I was dying to get to college and become a doctor. We just didn't have the money for it, and I had to make sacrifices to do it, but at least I did get into the medical profession, and I still enjoy it. After graduating from Florida A&M University, I became a certified/registered dietitian. I've also completed a master's in business administration at Adelphi University and then I went to Hofstra University to certify myself as a chemistry teacher. I learned that if you really want to do something, you will do it. But you have to sacrifice. If you put yourself into it and you really work hard, you can accomplish it. That knowledge was especially helpful to me when I became the first African-American elected to the Hempstead Town Board in 1999.